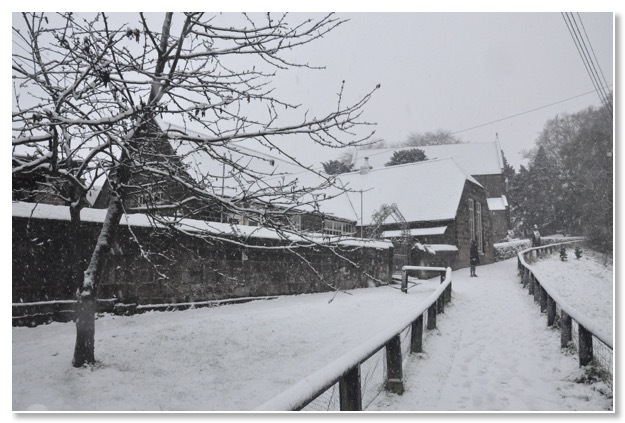 Of course, it doesn't snow every day in Grosmont in the winter. When it does we feel justified in settling back and enjoying toasting our toes in front of the log burner, grateful for our break from making coffee for visitors; and recharging our batteries for the next season. When it's not snowing we venture out and let other people make us a coffee for a change. 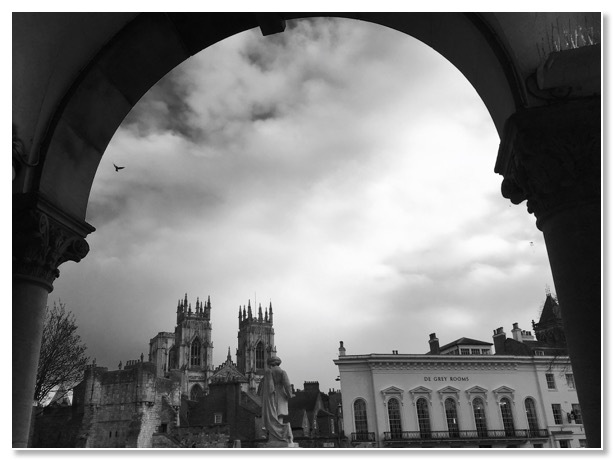 We enjoyed this view of the Minster amid the roofs of York. We saw it while sipping a flat white in the bistro attached to York Art Gallery. Before the coffee, we took in the Paul Nash exhibition there. More recharging of batteries.